By now you’ve probably heard that UK-based company Cambridge Analytica reportedly harvested 50 million Facebook profiles and used that data to build software that targets and influences voters. Cambridge Analytica was able to access the data of millions of users through an app that was used by just a few hundred thousand people. Because Facebook allows apps to access the data of not only those who grant access, but also data shared by their friends, Cambridge Analytica was able to harvest so much more information than they normally would’ve been able to. The privacy settings The Complete Facebook Privacy Guide The Complete Facebook Privacy Guide Privacy on Facebook is a complex beast. Many important settings are hidden out of sight. Here's a complete look at every Facebook privacy setting you need to know about. Read More you should consider changing (to prevent apps from sharing your data in the future) are all found on the App Settings page. This kill switch feature allows you automatically remove all apps that have access to your account in one easy step. It will also completely disable future logins on third-party sites using Facebook. Go to Settings > Apps > Apps, Websites and Plugins. Instant personalization will be turned off. Apps you’ve logged into (with Facebook or Anonymously) will be removed. So for example, if you’ve posted to Facebook automatically using Instagram, those posts will disappear from your profile. Facebook also points out that apps you’ve previously installed will still have information you have shared with them, and recommends contacting them directly for details on how to remove this data. In the list of apps, click the Edit Settings (pencil) button. In the popup window that opens, you can uncheck specific items that are being shared. This may include your friend list, email address, and who can see items shared on your Facebook profile through this app. You will find that with some apps, there are certain items that can’t be unchecked including name, age, profile picture, and any other public information. To completely remove the app, click the X button associated with each app. If you’ve disabled Facebook’s Platform setting, this feature will already be turned off. But if you choose to keep Platform enabled, at least disable this setting that was integral to Cambridge Analytica’s software. Go to Settings > Apps > Apps others use. Uncheck all the items that friends could be unknowingly be sharing from your profile. 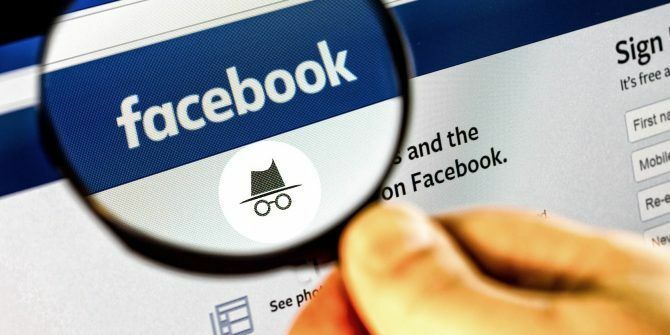 In addition to adjusting your Facebook privacy settings, you’ll probably also want to take precautions to prevent Facebook from selling your browsing data How to Stop Facebook From Selling Your Browsing Data How to Stop Facebook From Selling Your Browsing Data Did you plan on sharing your browser history with advertisers? Because if you have been sharing your browsing history with Facebook then that's exactly what's going to happen. Read More to advertisers.